Every person prefers a smooth operating vehicle and attempts to ensure it continues to do so. All autos have different requirements depending on engine, inherent technology and make of the car. However, the actions required to keep them running smoothly are generally the same. These are the fundamental aspects that any automobile service center or service professional would certainly recommend you carry out in order to maintain your vehicle’s operating proficiency. Periodic oil changes along with various other fluids are required as they assist the engine as well as various other parts to work effectively. 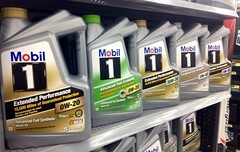 There are several varieties of oil as well as liquids that have to be monitored, like Brake fluids, Transmission oil, Coolant, Engine oil, Power steering fluid, and so on. All these oils and fluids have to be inspected and restored to recommended levels on an ongoing basis for far better efficiency that would certainly extend the life expectancy of your vehicle. 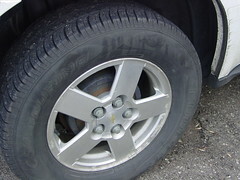 Inspecting an auto’s tire pressure each time you fill up your gas tank is a practice that every person ought to have. Tires are one of the most fundamental and critical parts of your car and should be closely monitored. Tires keep you on the road with their traction and grip on the road. By ensuring your tires operate at factory standards you can be confident that you’ll maintain your grip on the road and at the same time facilitate longer brake and rotor life, decrease the frequency you’ll need an alignment, and protect the axle. The windshield wipers should be replaced every few months as they are exposed to weather wear and tear and tend to fold or crack on the edges, a sure sign it’s time to replace them. 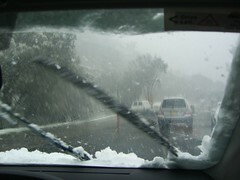 If left too long, there may be damage to the windshield or challenges driving in bad weather due to limited visibility. To ensure safe driving conditions, replace them at the first sign of wear. It’s an inexpensive step you can take to maintain your security. A clean air filter benefits your vehicle in a multitude of ways, facilitating better gas mileage, improved acceleration, extended life of your engine, reduced harmful emissions, and overall, enhanced engine performance. Its function is to clean the air as it enters the engine and prevent any debris from intruding and potentially fouling the engines operation. A dirty filter can cause a variety of issues, so it’s highly recommended to examine it frequently and change it when required. Any auto owner should ensure their car is serviced regularly, about every 3-4 months, to have everything checked out and repaired if necessary. Keeping on top of these minor repairs will go a long way to avoiding more serious issues down the road and subsequently extend the life of your vehicle. Follow these guidelines and your vehicle will serve you well for many years and transport you and your loved ones safely.